Don't miss your opportunity to own this lovely little rocky run townhome! 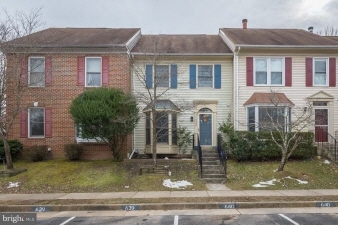 Don't miss your opportunity to own this lovely little rocky run townhome! Enjoy the spacious floor plan with step-down living room, cozy wood burning fireplace, and a deck off the main level with built-in seating. New hardwoods installed on the main level in jan 2019! Modern top-end kitchen renovation with new cabinetry, granite countertops, tile flooring, stainless steel appliances, and bay window. Enjoy the luxury master suite with vaulted ceilings, complete with a gorgeous master bath with custom shower tile-work, light fixture, and updated mirror and vanity. Lower level includes a large recreation room and storage/laundry area and walks out to the brick patio and fenced rear yard. This is a must see home! Please note that there is an estimate from a licensed contractor in the mls docs for converting the 2nd large bedroom upstairs into 2 separate bedrooms.